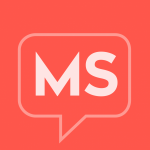 The team at MultipleSclerosis.net conducted a large, extensive survey among people living with MS, with the goal of gaining a better understanding of the many aspects of what it’s like to live with multiple sclerosis. The survey included questions about diagnosis, symptoms, treatment, and the impact this disease has on a person’s day-to-day life. Over 5000 people completed our 115-question survey, and we are honored to be able to share those results with our community. First, we took a look what our community had to say about their experience with being diagnosed with MS, their symptoms, and what it was like at the beginning of their journey. Because diagnosing MS is so complex, many people are often misdiagnosed with another condition before they are finally diagnosed with MS. This process can take years, and be incredibly frustrating. The conditions people were misdiagnosed with included depression, fibromyalgia, migraine disease, psychiatric disorder, chronic fatigue syndrome, B12 deficiency, stroke, and others. Nearly everyone who completed our survey said that they wished they had known more about MS when they were diagnosed, especially how much it would impact their lifestyle, and mental and physical health. Thank you to everyone who participated in this survey! Your feedback will help us spread awareness about what life is really like living with MS!